The ASD Pillar Awards Ceremony is held annually to recognise deserving students of their academic excellence and non-academic achievements. This award is supported by Dr Wee of Kumpulan Akitek. The Kumpulan Akitek Award is granted to one student in the ASD Bachelor of Science in Architecture and Sustainable Design Program. The award is given in recognition of outstanding achievements in the Design Computation course. Certificate will be presented during the ASD Pillar Award Ceremony. Cash award will be disbursed by end May. The annual ASD Core Design Award is granted by the recommendation of the ASD Core Design Award Committee and awarded to one or two students in the ASD Bachelor of Science in Architecture and Sustainable Design Program. The award is given in recognition of significant achievements throughout the ASD Core Design Studio sequence from Terms 4-6. 1. Portfolios of eligible students to reach ASD Office by end Feb. The annual ASD Core Design Certificate of Merit is granted to students in the ASD Bachelor of Science in Architecture and Sustainable Design Program. The Certificate is given in recognition of significant achievements throughout the ASD Core Design Studio sequence from Term 4-6. Award will be presented during the ASD Pillar Award Ceremony. 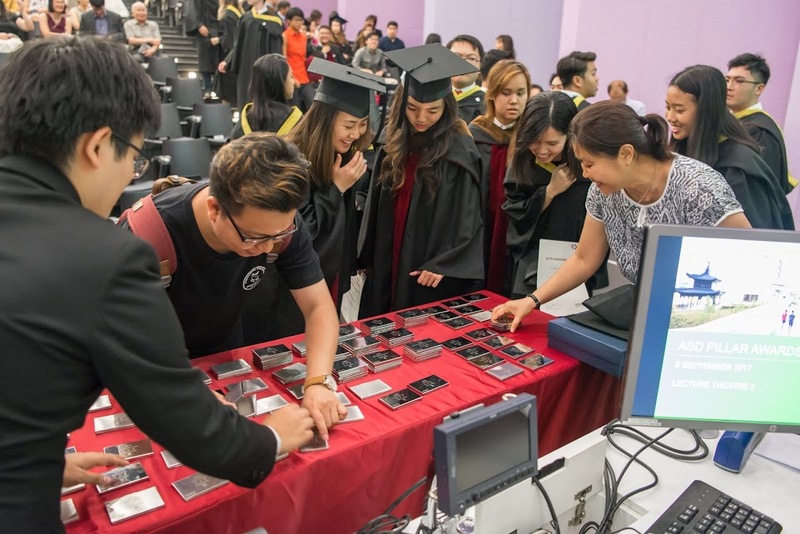 The Academic Excellence Award is granted to students in the ASD Bachelor of Science in Architecture and Sustainable Design and Master of Architecture Programs. The award is given in recognition of outstanding academic results in Term 8 and 10. Awarded to top student of cohort based on CGPA. 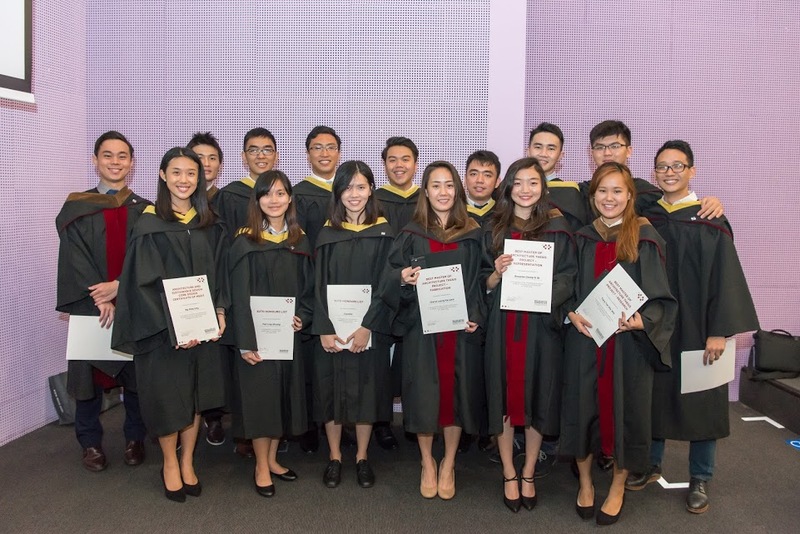 The Honours list is granted to SUTD students in recognition of outstanding term academic results. Awarded to top 10% of cohort based on term GPA. The Leadership Award is granted to students in the ASD Bachelor of Science in Architecture and Sustainable Design Program. The award is given in recognition of outstanding leadership and contributions to the pillar. Awarded to final term UG student who has demonstrated excellent leadership throughout his/her UG years. This award is supported by RT+Q. 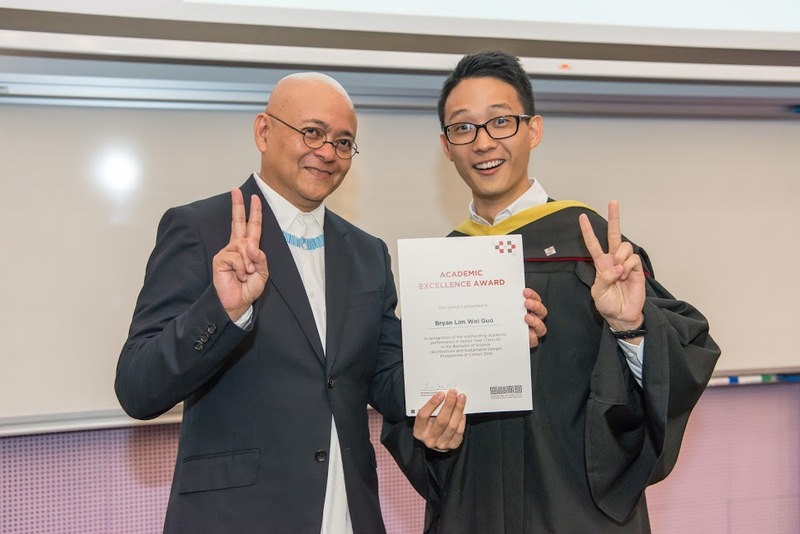 The RT+Q Award is granted to one Bachelor of Science in Architecture & Sustainable Design student who has excelled in Design and History. Awarded to the most deserving student based on eligibility and faculty recommendation. 1. Recipient will propose a study trip plan to Rome, subject to approval. 2. Trip to be completed before Fall term in Sep. Certificate will be presented during the ASD Pillar Award Ceremony. Cash award will be disbursed by end June. Through the support of Dr Yeo Kang Shua, this study trip grant is available to undergraduates pursuing the Architecture and Sustainable Design (ASD) undergraduate degree programme at SUTD. It is established to provide our students with experiential learning opportunities beyond the classroom. 1. Recipients are required to complete a post trip report and to share his/her experience and findings via a presentation to the SUTD community. This award is supported by Dr Daniel Libeskind. The Daniel Libeskind Award is granted by the recommendation of the ASD Award Committee and awarded to one student in the ASD Master of Architecture Program. The award is given in recognition of significant achievements throughout the ASD Option Design Studio sequence from Terms 7-9. The DPA Master of Architecture Thesis Award – Overall is granted to students in the ASD Master of Architecture Program. The award is given in recognition of a holistic outstanding Thesis project. This award is supported by Pilot Pen. The Pilot Pen Centenary Award is granted to students in the ASD Bachelor of Science in Architecture and Sustainable Design Program. The award is given in recognition of outstanding team performance in the History, Theory and Culture 3 course. Certificate will be presented during the ASD Pillar Award Ceremony. Cash award will be disbursed by end May. Award quantum will be split amongst team members.